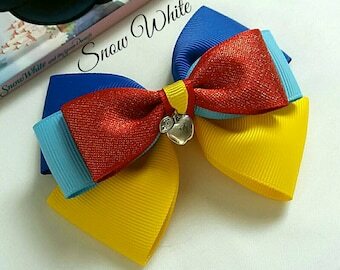 Anna, Frozen inspired pinwheel style layered hair bows. 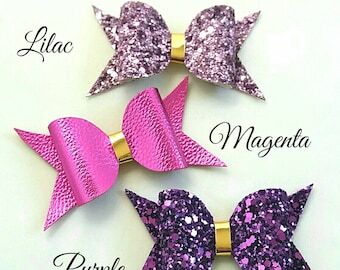 Design A - Made with 38mm/25mm/10mm grosgrain/irredescent ribbon, with snowflake charm and a sprinkling of rhinestones. 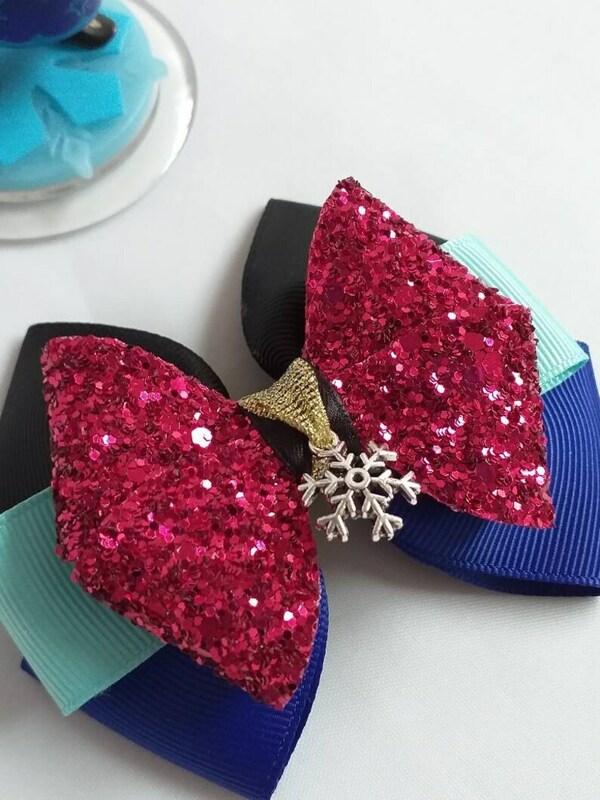 Design B - Made with 38mm/25mm/10mm grosgrain/irredescent ribbon, glitter fabric and snowflake charm centre piece. 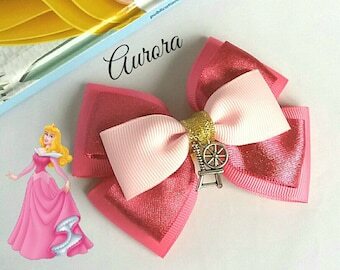 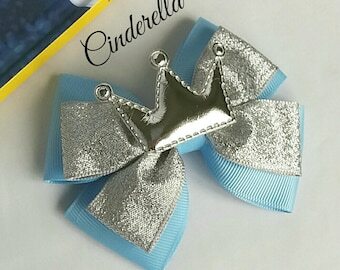 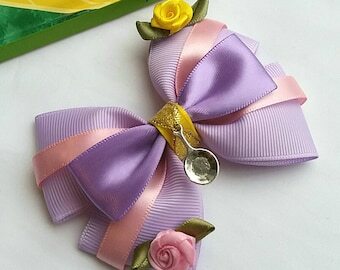 Perfect for Disney inspired princess parties / fancy dress themed events.